HOME / TECHNOLOGY / ARE YOU A TRAVELLER? ARE YOU A TECHIE? 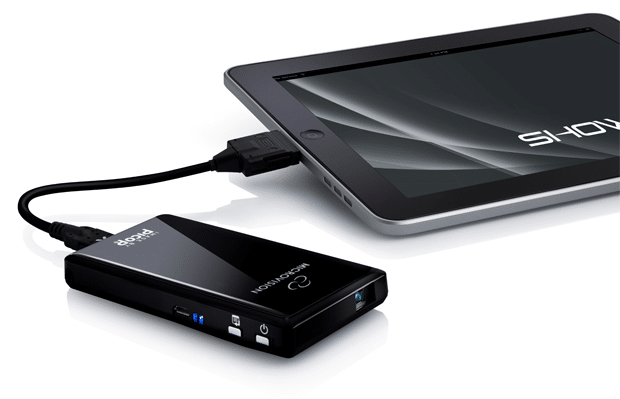 7 TRAVEL GADGETS THAT ARE A MUST FOR YOU! Some of these add convenience to your experiences while others are just too fun to not own! You’ve guessed it: we’re talking about travel gadgets! These smart tools have forever changed the way we travel and are even life-savers for some travellers. Here are 7 of the best travel gadgets that will make your trip so much better! 1. 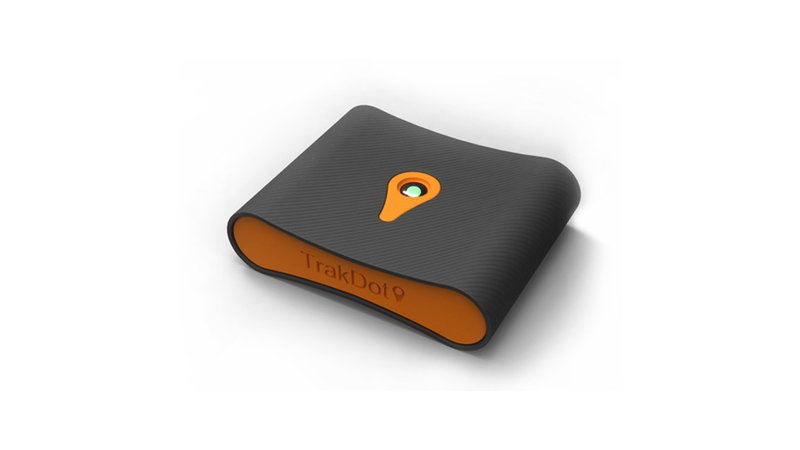 Trakdot Luggage Tracker A palm-sized device that you drop into your bag and use your phone to track it! No more losing your luggage or your patience! 2. DLP Pico Projectors Think you can’t fit a projector in your pocket? Think again! Pico Projector is an ultra-portable, pint-sized projector that you can carry anywhere. So, next time you’re travelling and have to suddenly present something, fret not! 3. Scrubba Wash Bag Whether you are backpacking through Europe or going on an African Safari, you are going to love the Scrubba Wash Bag. The most lightweight and pocket-friendly ‘washing machine’ in the world. 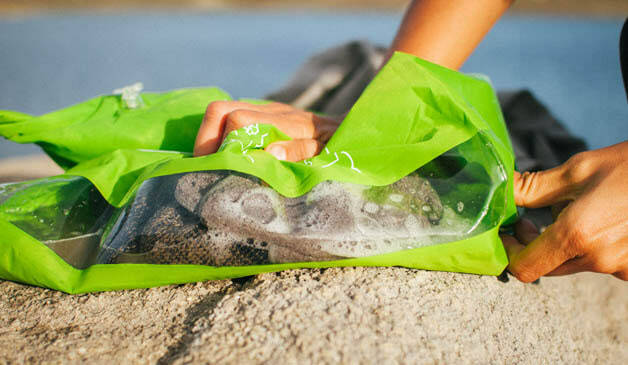 With just 2-4 litres of water and a little detergent, you can have fresh clothes in 3 minutes! 4. 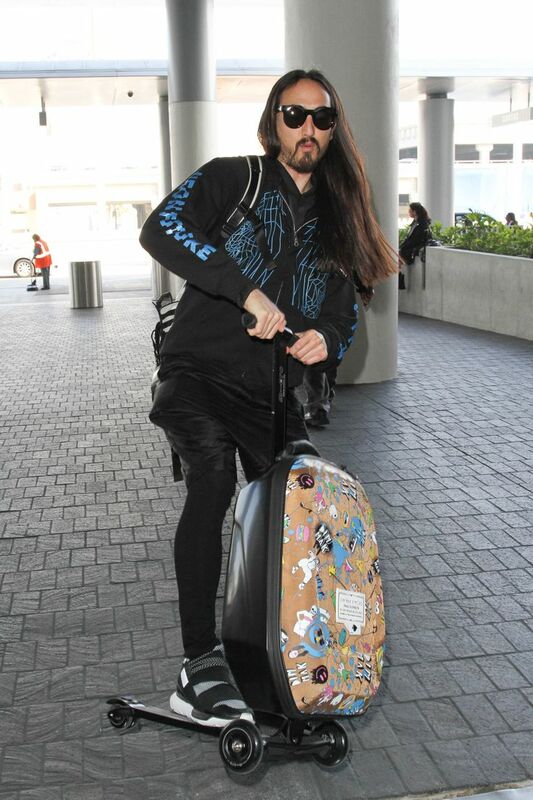 Steve Aoki Micro Luggage Designed in collaboration with DJ Steve Aoki, this innovative trolley that doubles as a kickboard scooter, also has Bluetooth Sound2Go speakers incorporated. Carrying your luggage will never be boring again! 5. 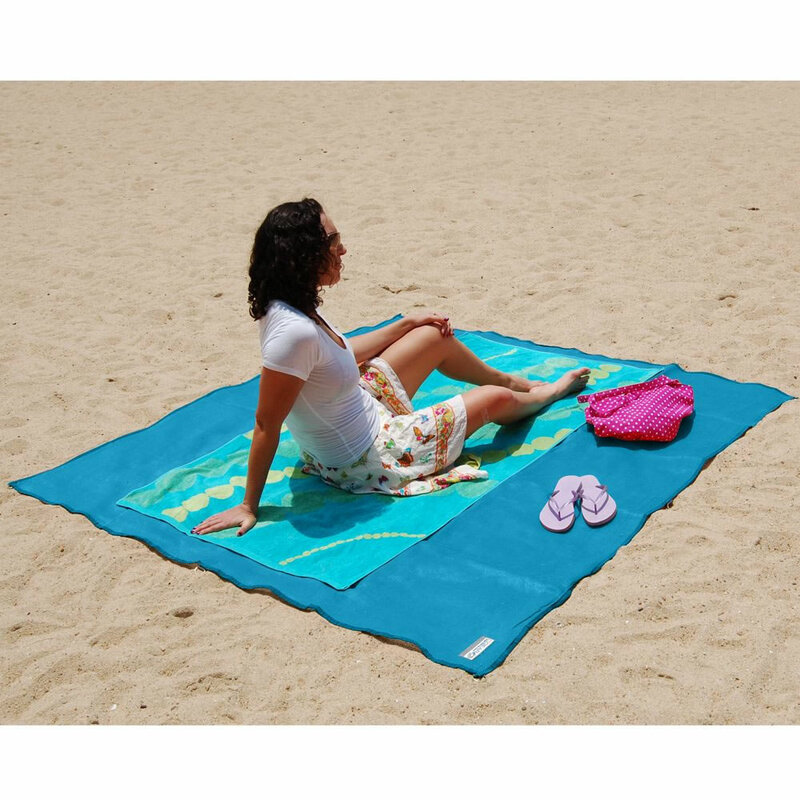 Sandless Beach Mat Calling all beach lovers! This two-person, specially woven mat filters sand from the surface and prevents it from reemerging from the bottom! 6. World’s Smallest Travel Steam Iron Slightly larger than a computer mouse, this is the smallest steam iron in the world! 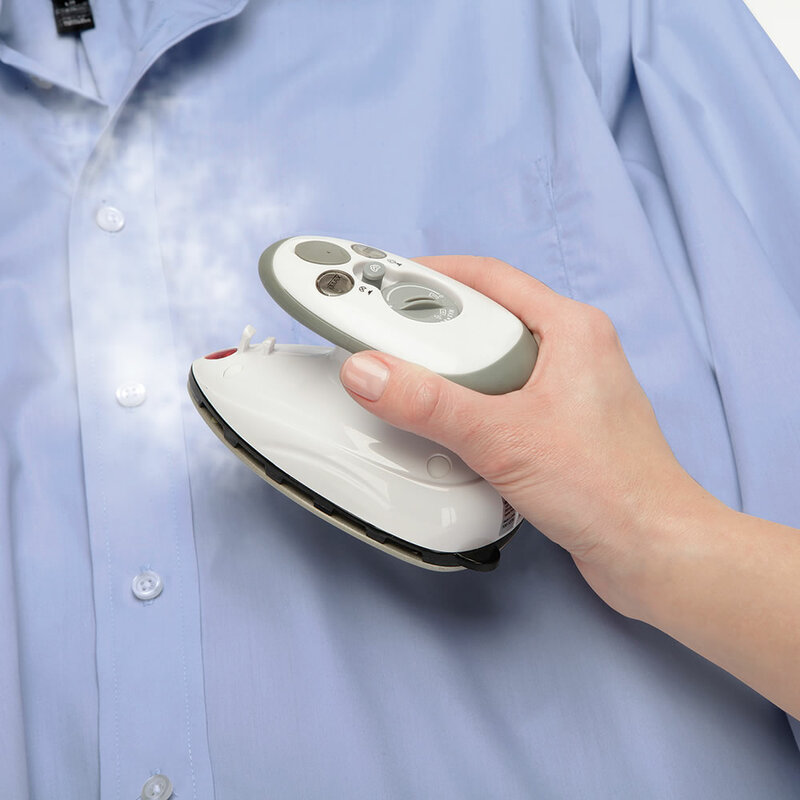 Ironing and packing won’t be that frustrating now! Creases: GONE! 7. 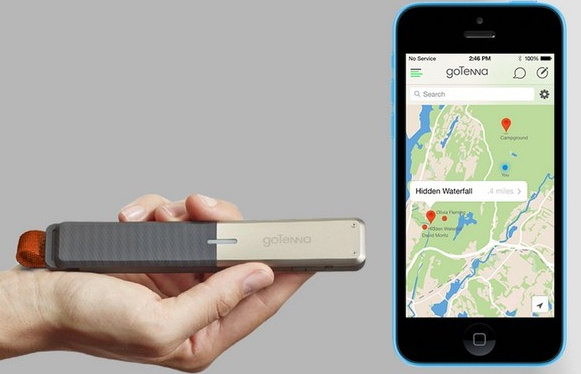 GoTenna GoTenna has been designed to keep smartphone connected even if there is no cellular service. This pocket-sized, two-way radio and antenna uses Bluetooth-LE to pair with a smartphone and allows user who possess the device to share messages and locations within a range of up to 50 miles. Genius eh? Travel and tech go hand in hand no?